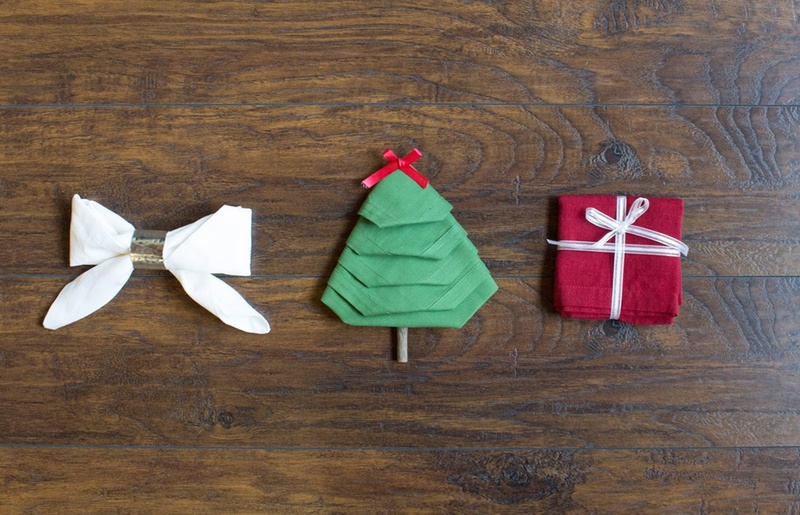 Folded napkins are a great way to spruce up your table, and these three looks are perfect for Christmas! And with just a few simple steps, you’ll be able to create these looks for yourself. 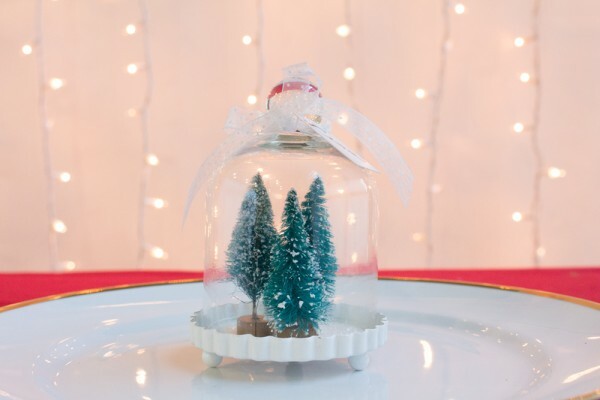 Just add them to each place setting to create a look that’s both festive and impressive. Take a look at the details below. Iron napkin and lay it flat. Bring bottom left corner to top right corner, creating a triangle shape. Bring top right corner about 1/3 of the napkin down. Fold long flat edge up so it covers the point. Fold long flat edge up a second time to create one long shape. Bring down the right side of the napkin and then the left side, having the left side cross the right. 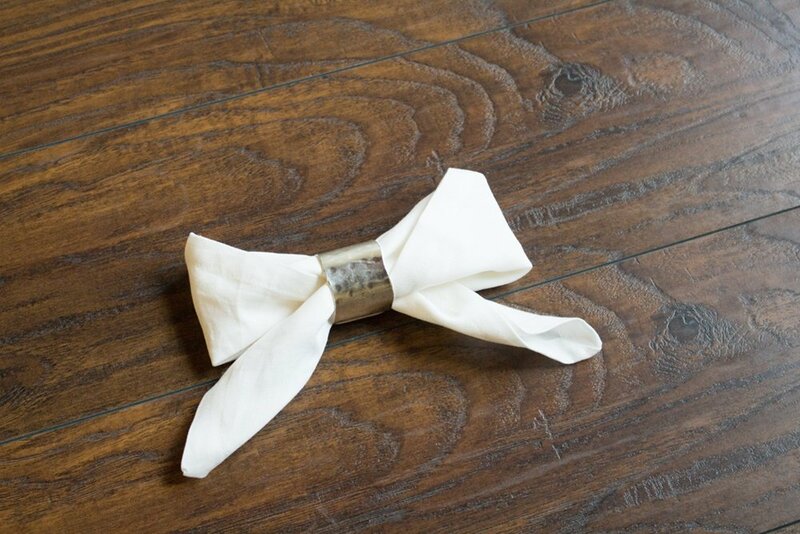 Pinch the center of the napkin, and pull the right side of the napkin through a napkin ring. Fold in half right to left. Rotate napkin to a diamond shape, with the flaps at the top of the diamond. Fold the top flap down to create a layered look. Continue to fold the rest of the flaps down. Fold the right corner back. 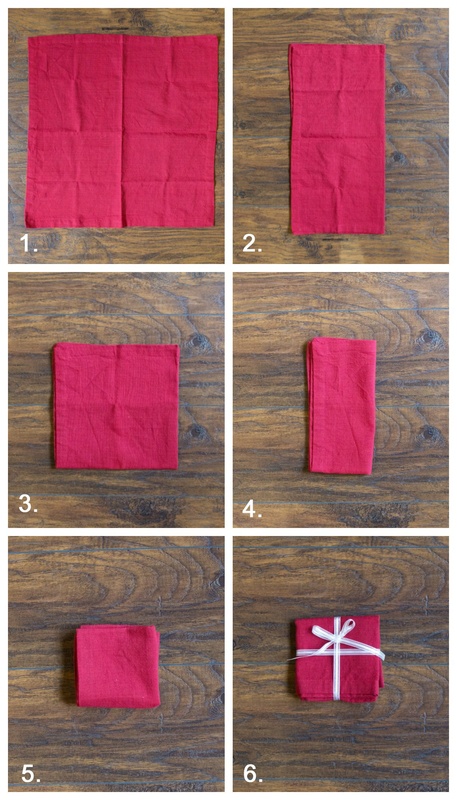 Fold the left corner back, creating a point at the top of the napkin. Tuck under the corners of each flap. 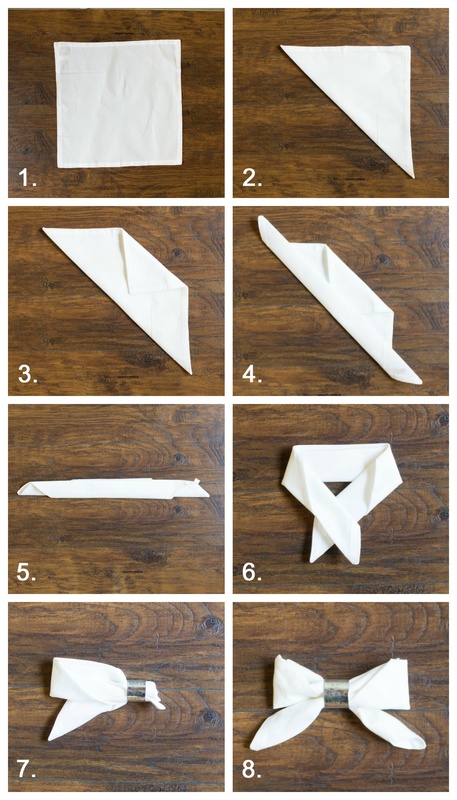 Tuck under the bottom corner of the napkin, doing your best to create a straight line. 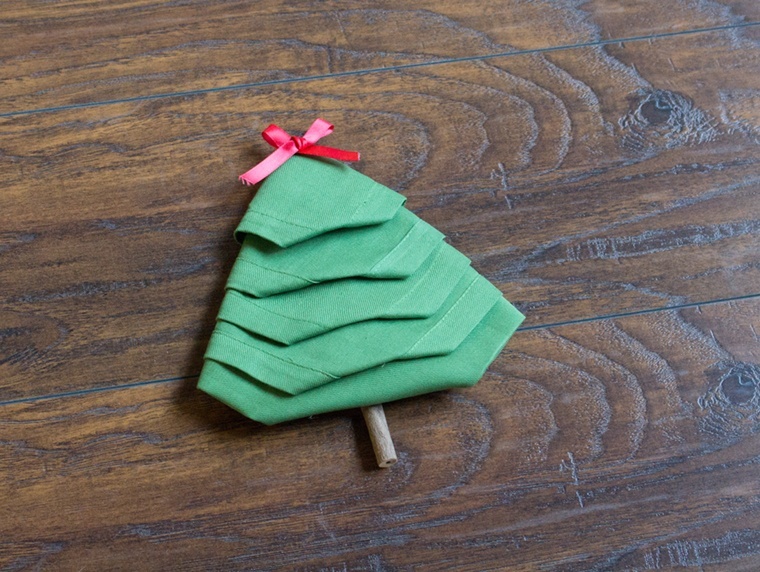 Add a cinnamon stick to create a stump and a bow for a tree topper. Fold in half, bringing the bottom up. Add ribbon to create the look of a Christmas gift. Which of these Christmas napkins is your favorite? We’d love to know your thoughts, so please feel free to leave a comment below. 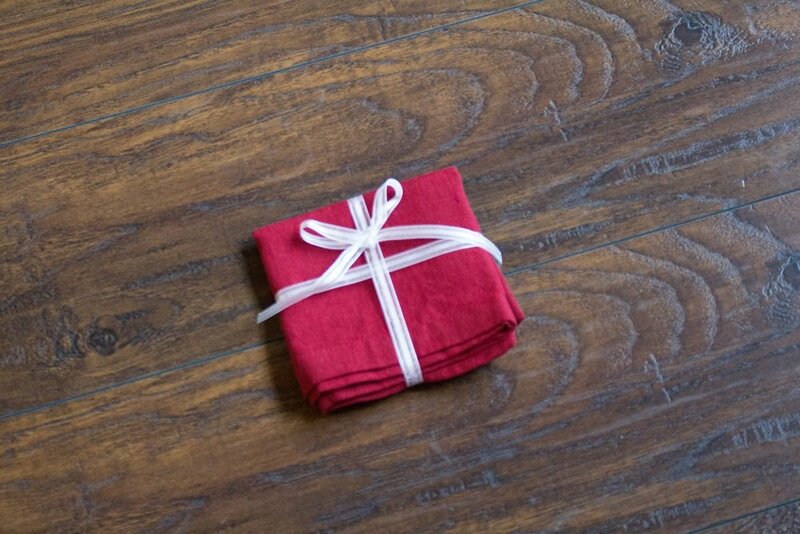 And for even more folded napkin ideas, head over to our post on napkins for fall tablescapes. 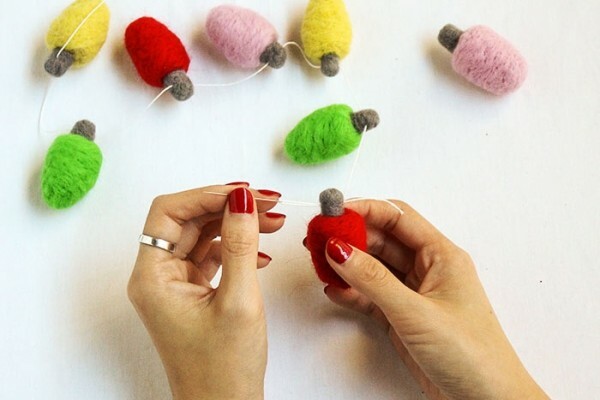 DIY Painted Christmas Lights in Your Favorite Colors! 9 Pieces of Must-See Christmas Content for Having the Best Holiday Ever!